Since aviation's early years, pilots, designers, and manufacturers have sought to break world records for notoriety or technical advancement, which captivated the public. This book tells of famous record-breaking flights throughout history, focusing on the exciting time following World War II when new speed, altitude, and endurance records were broken on an almost-routine basis. 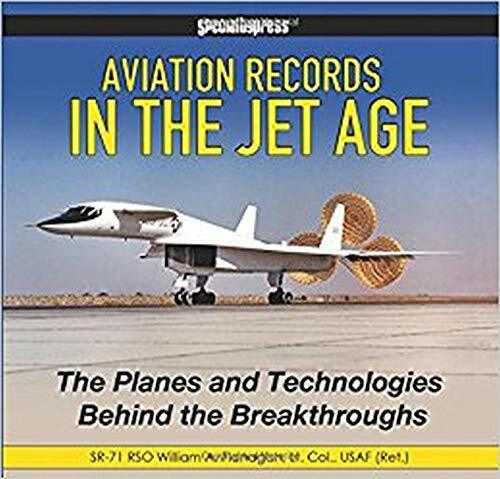 Supplementing these stories are detailed explanations of the technological innovations that made those record-breaking aircraft possible. From swept wings to afterburning turbojet engines, and "Coke-bottle" fuselages to high-altitude pressure suits, aviation progress has always been measured with breakthrough advances in the technology of flight. This book, written by a former crewmember of the triplesonic SR-71 Blackbird, takes you through the annals of aviation history with spellbinding stories of world-record flights and explanations of how advanced technology played a pivotal role in making these records happen. Illustrated with excellent archival photographs and technical illustrations, this book explains in detailed, but easy-to-understand, terms how specific advances in aircraft design such as powerplants, aerodynamics, flight control systems, instrumentation, and life-support systems led to ever-improved record-breaking aircraft. The appendix serves as a handy reference guide that documents world speed, altitude, and distance records as well as the legendary aircraft and pilots who flew them.